This is actually the second item for selfless September. I haven’t blogged about the baby onesies to doggie t-shirts yet since Toby has been sick. I am sure he wouldn’t want the pictures of his baldly patches and cone on the internet. Sew Powerful is a charity from the Liberty Jane Clothing. The main goal of the organization is to teach women sewing and tailoring skills so that they are able to support their family. The women enrolled in the program right now have been making school uniforms. But Sew Powerful is reaching out to the world-wide sewing community also with the Purse Project. Basically, you make a purse from the provided pattern and send it in to them. 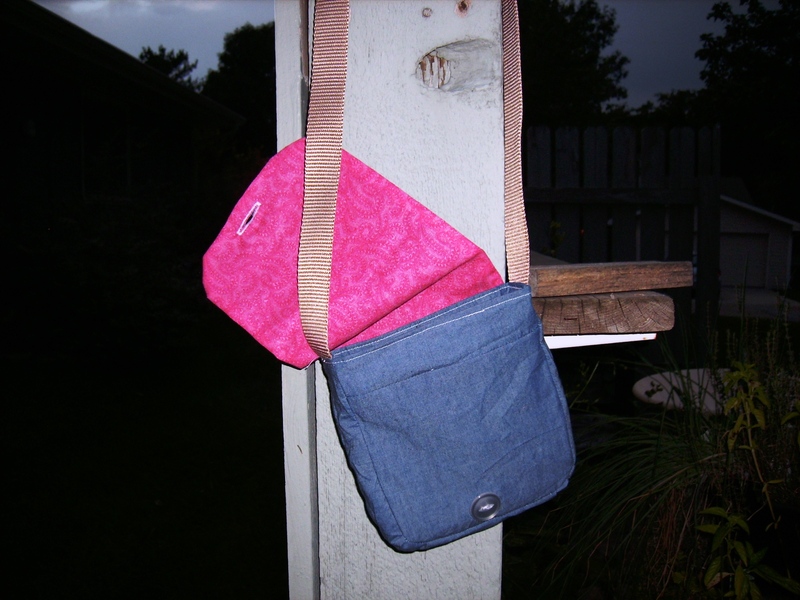 The purses will be used in partnership with the menstruation Hygiene Management program and given to girls in need. 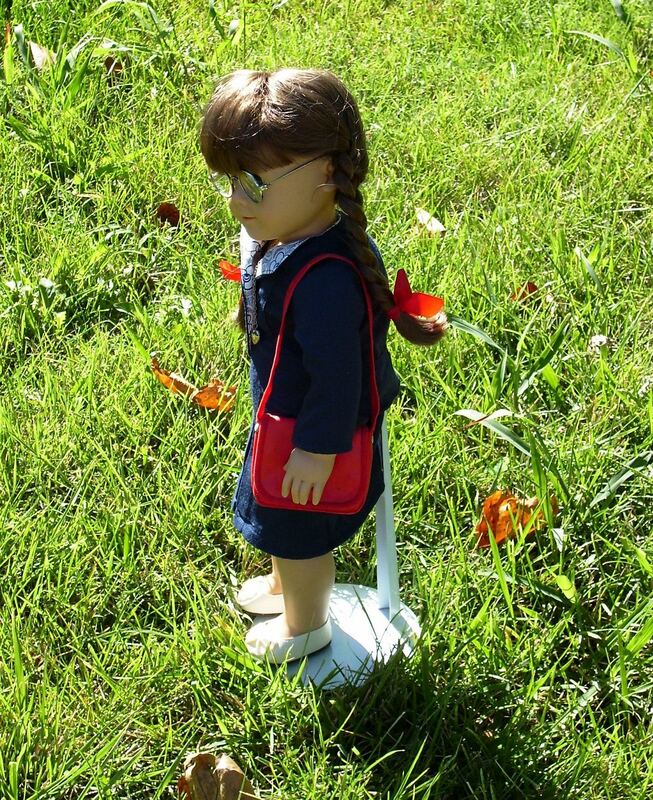 The provided menstruation supplies and the purse helps the be able to stay in school and not fall behind. With their education, the girls will have more economic opportunities available to them. This purse is rated at an intermediate level project. I read through the instructions a couple of times before starting. 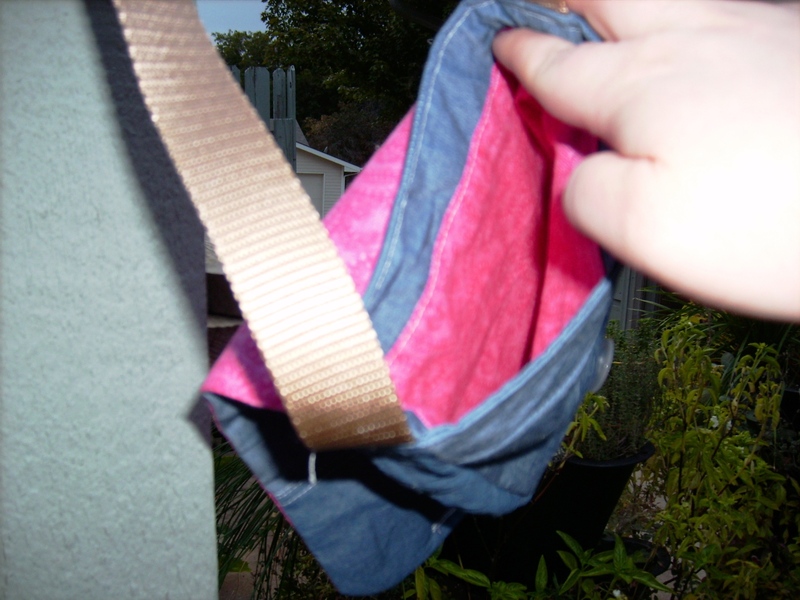 At that, I was still a little confused as to what exactly I was doing but I figured when I had the fabric in my hand as I was following the instructions, I would understand what it was telling me better. After cutting the fabric, I was reading then decided to keep it simple and not do the front pocket. Most of my troubles were in the very beginning. It was confusing. I ripped the stitches out several times and went back to how I put it together the first time. I felt like I wasn’t following the instructions right. 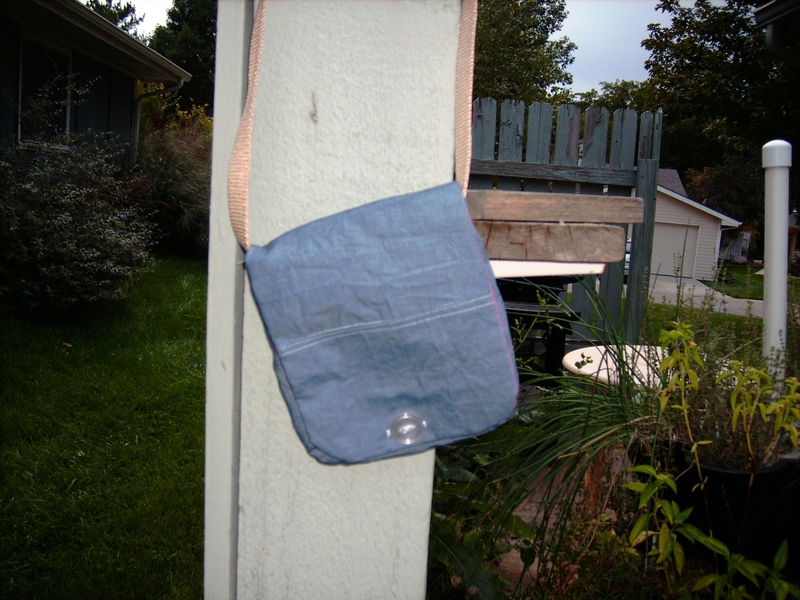 As far as I can tell, the end purse that I have looks like the picture exactly. The lining was easy and putting the lining in the purse was fine. But I feel like I just missed something on it like a pocket that was supposed to be there and isn’t? I just received the Sew Powerful up-date email today. It stated next year, they hope to have a simpler to use pattern which will be geared more towards the needs for African girls. Now, I feel better about all the troubles I had understanding the directions. It looks like I wasn’t the only one. I definitely want to keep helping out with the Sew Powerful organization so I will most likely try to make some more purses throughout the course of the year. It isn’t too late to participate. October 1 is the deadline if you want to be in the contest for a trip to Zambia. Otherwise, Sew Powerful stated they would be accepting purses year around and are planning another contest for September 2015 also. I still have two dresses I finished earlier in September to blog about plus a bead project. Granted I should have went through the bag of already cut out doll patterns to make up or even went through the scrap bin of the fabric to use this pattern. But I went ahead and picked up the navy linen look rayon/poly blend. 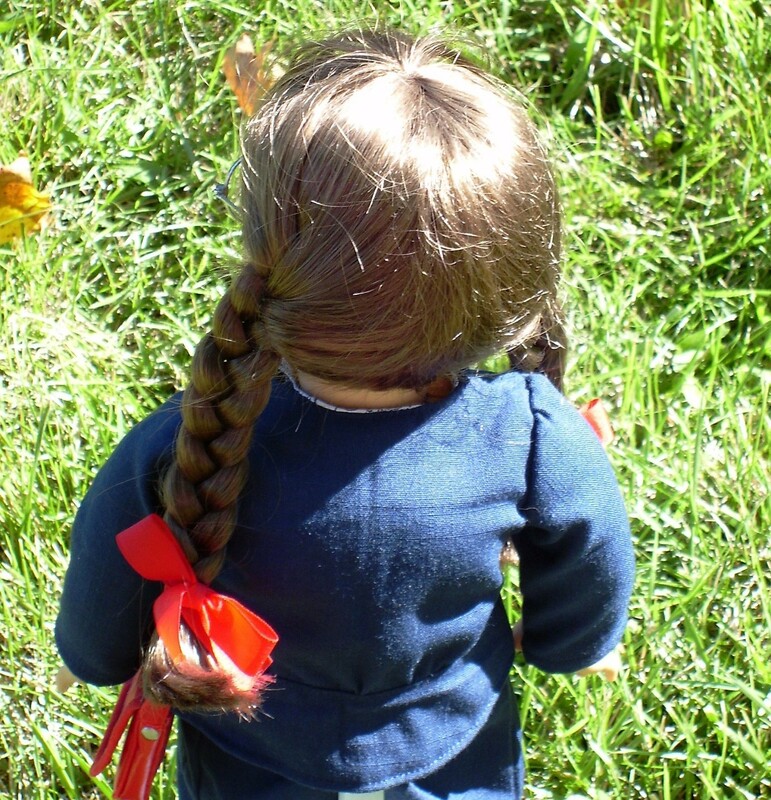 I knew it would be perfect for Lee & Pearl’s pattern #1943, Molly Waves Goodbye. Anyways, it made up for the fabric store being out of the buttons I needed for my shirtdress. The first night, I had cut everything out and had the skirt sewn about to the halfway point. All it was missing was the Velcro, waistband, and hem. The skirt is definitely easy to put together. I could read through the instructions a couple of times then turn off my computer and be able to make the skirt. Definitely be careful when taping the pdf pattern together. I must not have had the pieces lined up correctly because my waistband was a little short for the skirt. I didn’t have a problem with any other piece. The suit jacket is definitely an intermediate level pattern. I definitely needed to leave the instruction up on my computer for this one. This was especially helpful for the lapped curved seam on the front and placing the buttonholes. My linen look rayon poly does fray easily. So for the lapped seam on the front, I did use fray check on that. Otherwise, I did use my serger where I could like the shoulder seams and side seams. I didn’t follow the instructions on the sleeve seam and used my serger again as so I had a clean seam. I only have one quibble about the jacket pattern. I wish the pattern pieces labeled which ones should be from the contrast material. It is in the instructions but if you are cutting without pulling the instruction up on computer, you miss this. I recut the peplum lower back piece because I had cut two from the navy linen look and not one from navy and one from the contrast. I am just going to save that peplum lower back in case I decide to make another navy suit to give away. I didn’t do any pattern alterations. 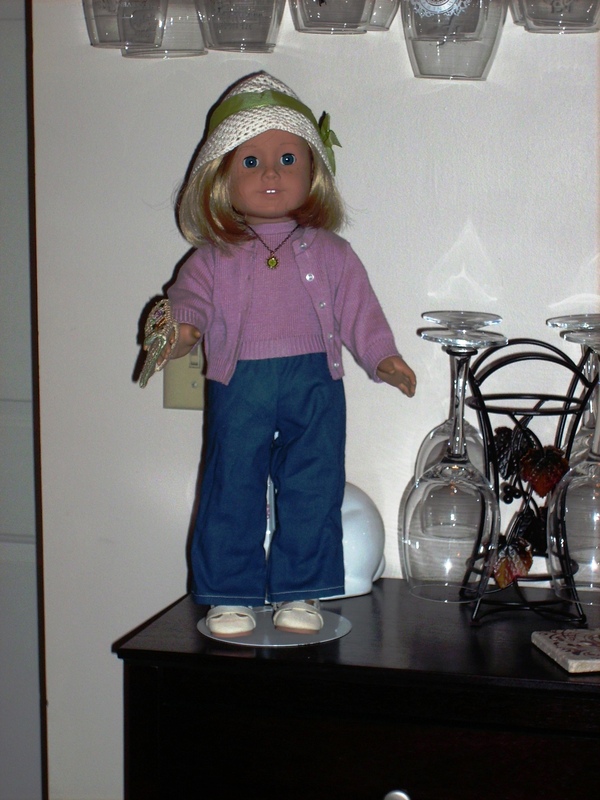 Molly was originally purchased as a Christmas present in the early 1990s (best guess is 1993 or 1994). 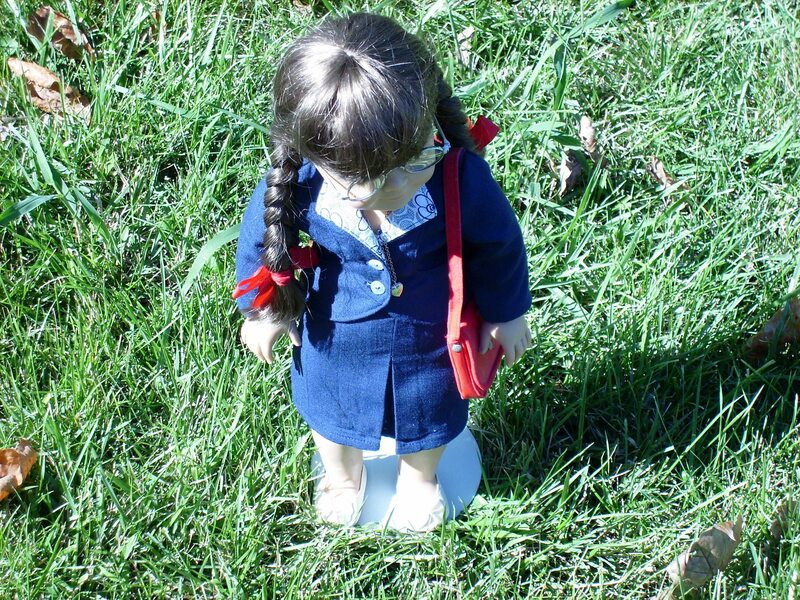 The jacket could be a touch too tight, but I wonder if it is because of the doll stand wire. The only other change I made beside using my serger was to finger press the lapels. I had finished hand sewing the contrasting facing in the jacket while I was at my co-workers’ softball game (they are in desperate need of fan). 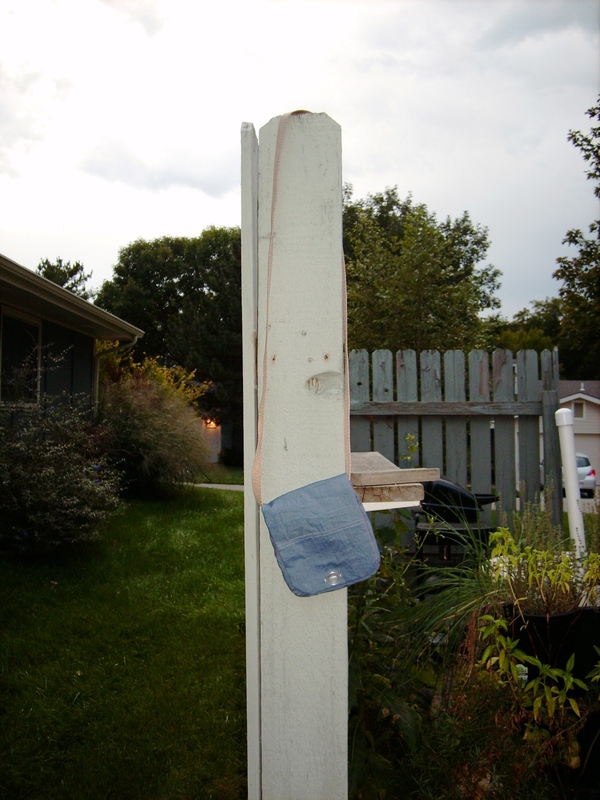 So I didn’t have an iron with me. I probably held the lapels down for 5 or so. Then I just couldn’t pay attention to the game much longer and pulled out my e-reader. So I squished the jacket between the front and back cover of my e-reader to continue “pressing” the lapels. This was for probably 2 hours. Out of the two pieces I did, someone learning to sew would be able to make the skirt on his/her own as a first project. The jacket can’t be someone’s first sewing project. One needs to have a basic understanding of sewing then, I feel the pictures and instruction would get one though making the jacket. I really want to make the slip and hat from this pattern and the Glengarry hat (a Lee & Pearl pattern) too. 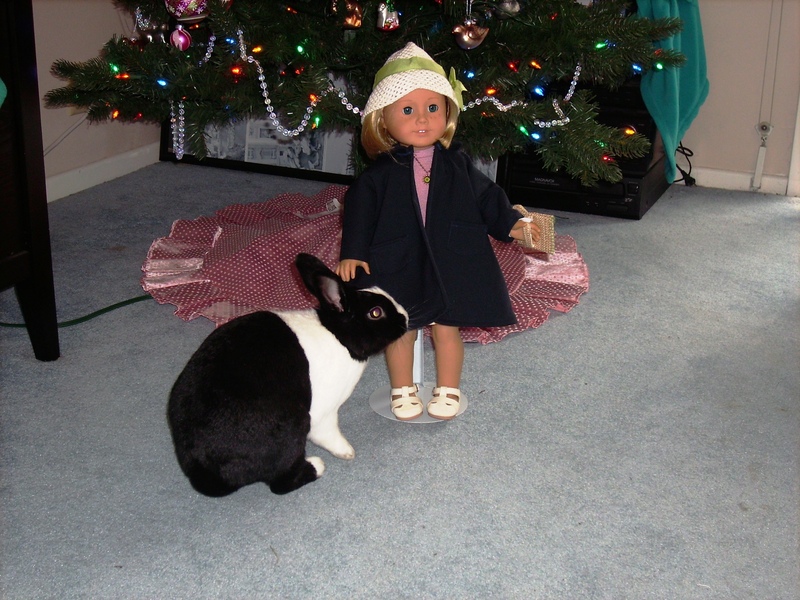 But right now, Molly will just have to be happy with her new jacket and skirt. As I am now on to items for Selfless September. My plans for Selfless September included modifying baby onesies into doggie shirts for Toby, the Sew Powerful purse project, doll clothes for my dad’s work’s Toys for Tots drive, and a t-shirt for my mom. Something just for fun today since I haven’t gotten pictures of my recent makes. If you sew, by now, you probably heard that McCall’s Pattern Company has started a blog. If you haven’t, go over and check it out http://blog.mccall.com/ . I think the post I enjoyed the most so far is the one about the 1950’s Vogue Pattern Magazine Article on seven college pieces to sew. For fun, I went ahead and put together a list that I think would work well for my dolls. My list of essential pieces is extended or modified from the original list. This is a tough one. I love the coat I made with Simplicity 4347, but is it too long to be a short coat option? Otherwise, I think my pick would have to be Liberty Jane’s Piccadilly Pea coat pattern (even though I haven’t tried it out yet). I love the pleats in the back. Ok, this one is much easier to pick patterns for but the only problem is how to just pick one. I did narrow it down to two. My two picks are Bonjour Teaspoon’s Taylor Regatta dress and Lee & Pearl’s 1031 (classic wrap dress). Based on how Molly was dressed for several months, Simplicity 4347 would have to be my pick. 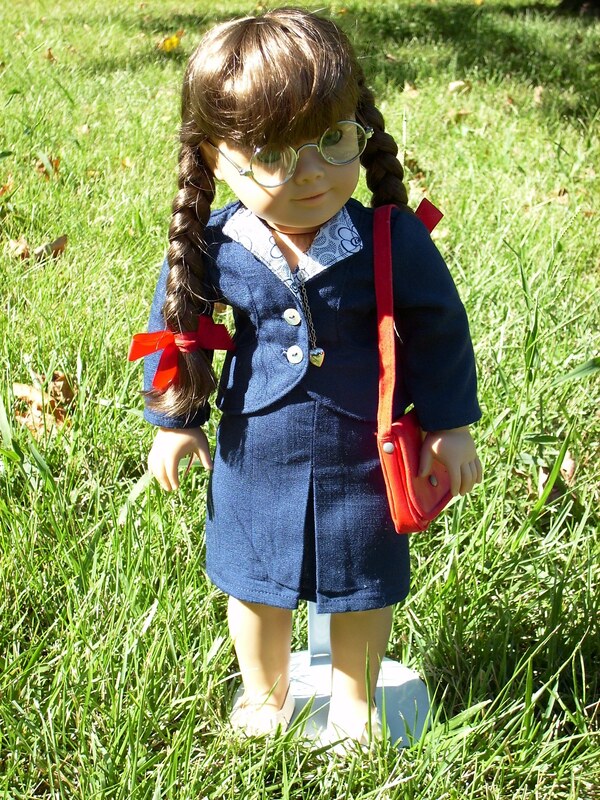 Is a tailored shirt really necessary for a doll? This was the dilemma I looked at. If the answer is yes, then I would like to pick Butterick 6035. 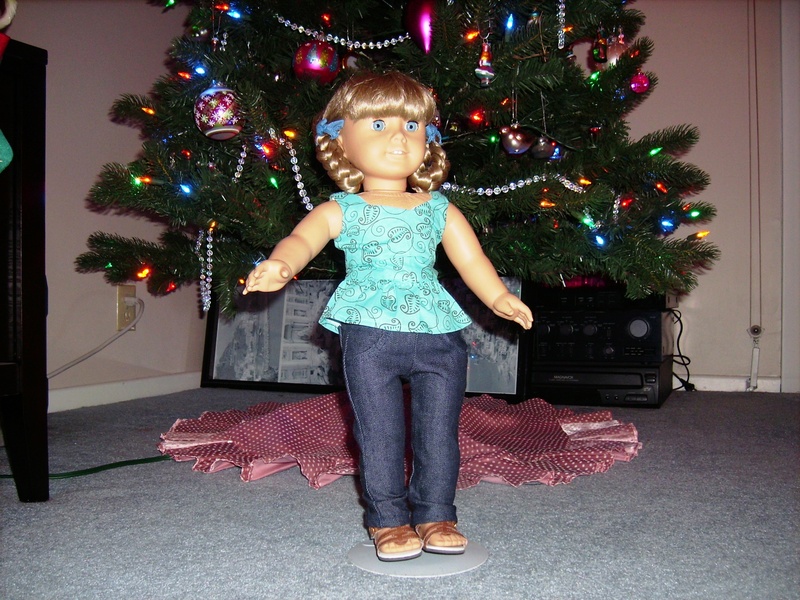 Butterick 6035 is designed more for the NOLA American girl dolls so it doesn’t really have the collar and buttons down the front. Apparently, I can’t seem to find a really good one with a collar and button down front. Pleasant Company has two (one in Addy’s collection and one in Molly’s collection). They at least had a collar plus they are free patterns! Otherwise, I like Gennie-wren Design’s Harriet Sailor outfit top, but I don’t think it will appeal to modern (perfect for Samantha and Rebecca). If the answer is no, there are several cute tops out there. These are patterns I haven’t tried out yet. But I think Liberty Jane’s baseball t-shirt, Dolly Duds polo shirt, and of course it wouldn’t hurt to include the option of Lee & Pearl’s 1031 (classic wrap dress as a peplum top). Odd jacket category has to belong to Liberty Jane. The Penny Lane jacket and the Boomerit Falls Jacket are so cute. I have a Penny Lane jacket cut, but haven’t gotten around to sewing it up yet. Here is the one that I do differ from McCall’s on. They thought the traditional suit wasn’t applicable to today. But what will a college girl wear on an interview for a summer internship or even after graduation for a job interview? For the doll pattern choice there was no questions on this one, but I would definitely pick Lee & Pearl’s 1943 (Molly Waves Goodbye). I am just finishing this pattern up and the end product looks absolutely adorable. Look for this post soon. 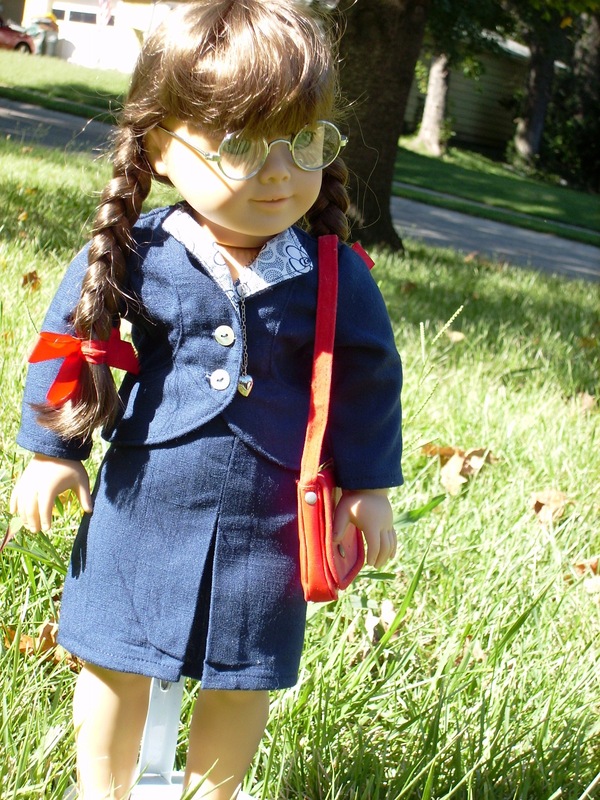 I know some would not mind a strapless dress on their dolls, but I don’t like that at all. 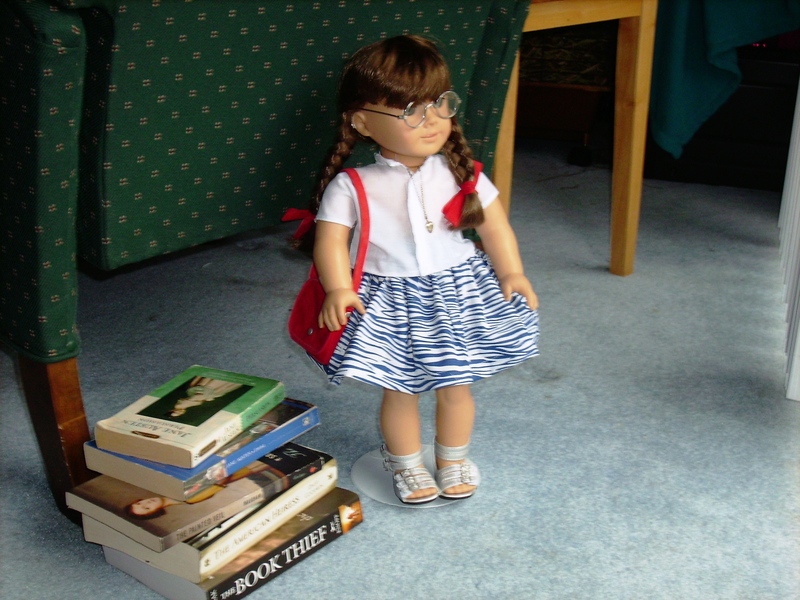 Now my next problem in this category is that most of the fancier dresses I have are geared towards the historical dolls. I definitely could use help here. I don’t know about anyone else, but this is an essential in my college wardrobe so I added it. 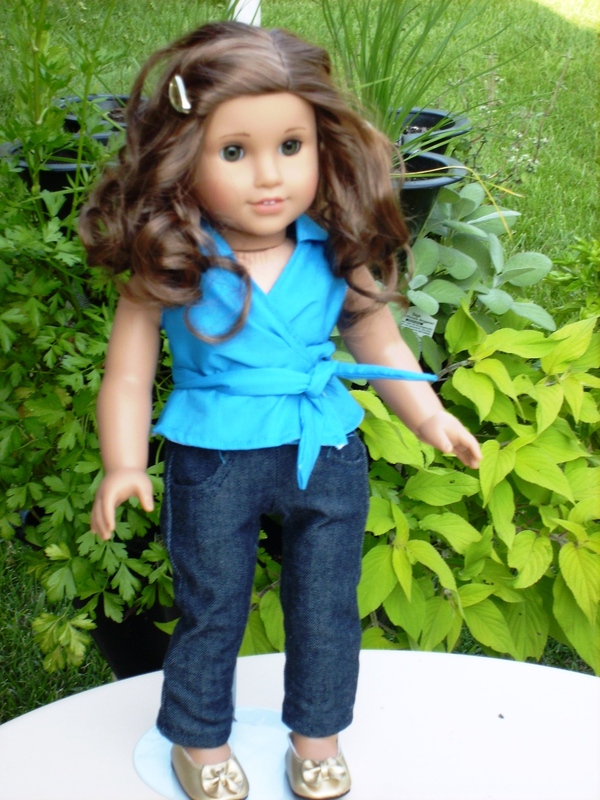 My favorite doll pant patterns are Simplicity 4297 and Liberty Jane’s jeans. What would you think should be considered in the list?